Finally: a real AnsweringMachine for jailbroken iPhones for less than 4$. 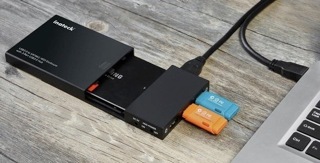 Amazon sells the Inateck 3 port USB3 hub with 2.5 inch SATA enclosure case for less than 26 Euros. 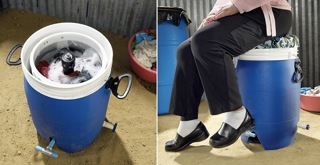 From goodshomedesign.com: Pedal powered washer needs no electricity and costs only 40 Dollars. From 10/27 to 10/30 the annual Art Monaco, the contemporary art show in the French Riviera, takes place at Espace Fontvieillelle in Monaco. Just found out, that you can receive ORF1, ORF2 and ATV in Austria via DVB-T2 without encryption until 2019, although only in supposedly very low resolution. So portable TV reception in Austria should still be possible. Note to self: test soon! 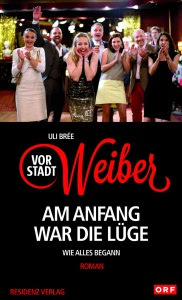 The German language book Vorstadtweiber - Am Anfang war die Lüge by Uli Bree is about the beginnings of the Austrian blockbuster TV series Vorstadtweiber for 22 Euros. 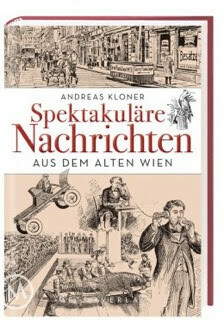 The German language book Spektakulaere Nachrichten aus dem Alten Wien talks about spectacular news from the Vienna before the first world war for 22 Euros. The Microlino is an electric car, similar to the Iso Rivolta/BMW Isetta from the 1950s for around 10000 Euros. Available hopefully 2018. 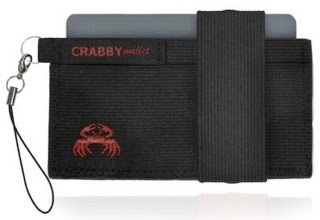 Best wallets ever: the Crabby Gear V2 Elastic Wallets for less than 15$. Absolutely the best! Must buy! 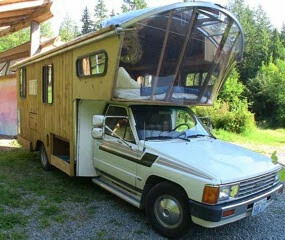 From BoingBoing.net: Elaborate DIY parking spot. Really amazing! Before you buy an iOS based device, you should check its activation lock status. 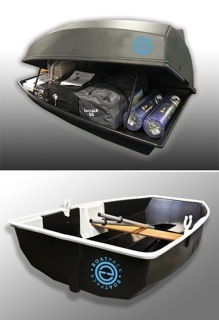 BoatPack is a 650 liter roofbox for your car, that converts into a little rowboat for two for 1600$. You can even put a little electric outboard motor on there if you prefer that kind of motorboating. From 10/17 to 10/20 the annual MIPcom, the worlds entertainment content markettakes place in Saint-Tropez, France., takes place at the Palais des Festivals in Cannes, France. 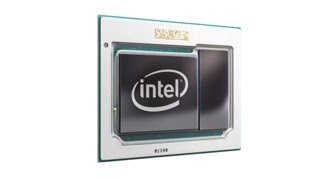 From Gizmodo.com: Intel changed the name of its dinkiest processor and it will definitely confuse you. From 10/15 to 10/16 the annual MIPjunior, the worlds showcase for kids programming, takes place at the Grand Hyatt Cannes Hotel Martinez in Cannes, France. 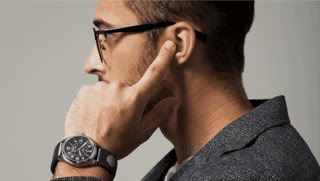 From TheVerge.com: This wristband turns your fingers into a phone. 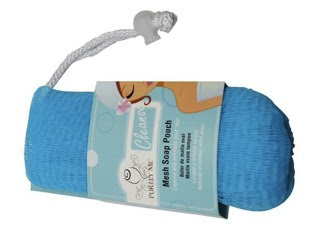 From CoolTools.org: Soap mesh bag, to make use of little pieces of soap. From 10/12 to 10/13 the annual Air Ops Europe, the BUSAV support services convention, takes place at Hangar 16, Cannes Airport in Mandelieu, France. From 9to5mac.com: Petition to activate smartphone FM radios. From Engadget.com: HDHomeRun tuners connect directly to Samsung TVs. 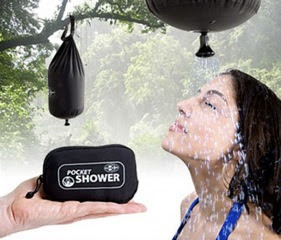 From OpulentItems.com: Pocket shower for 25$. 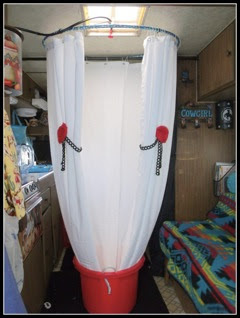 From LittleVintageTrailer.com: How to create a shower in your vintage trailer. 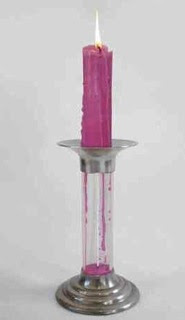 From ViralNova.com: 10 genius reinventions of stuff you use every day. 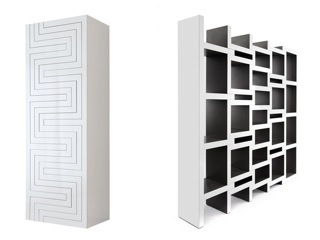 From WebUrbanist.com: 15 super stackable and space saving designs. 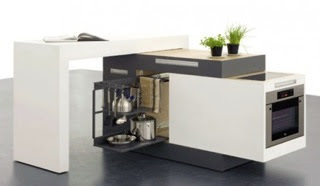 From WebUrbanist.com: 14 more clever small space hacks. 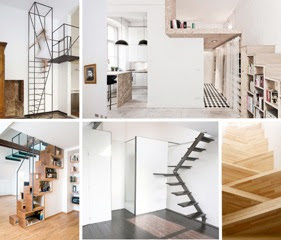 From WebUrbanist.com: 15 compact stair designs for lofts. 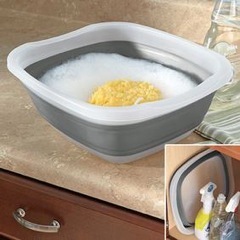 From FreshFinds.com: Collapsible basin for less than 15$.